There’s nothing more frustrating than watching a loading bar spin around when you’re trying to watch a live stream of the Super Bowl. Did he make that touchdown or not? Did Richard Sherman say something crazy again? There’s no doubt that thousands, maybe millions of us will encounter problems when we try to stream the Super Bowl this year, as we do with almost every popular live stream on the Net. Qwilt is trying to end this problem. This week it showed us how its newest technology will help keep almost any live stream going with Live Stream Cache, a new technology your Internet Service Provider will hopefully adopt soon. Qwilt’s system works by watching out for popular live streams over a network. When it finds one that’s getting popular, it begins saving, or caching, the stream at a super-fast rate to regional servers specially optimized to carry fast live video, and then sends the cached video from those servers to you or me. This technique is already used by many big video providers to move popular on-demand videos on YouTube or Netflix to increase delivery speed, but Qwilt has figured out a way to cache content and re-route it fast enough that it can work with live streaming video without slowing down the stream in any noticeable way. Re-routing and saving video to local transmission points like this speeds up delivery, but it also removes strain from the network or website that is broadcasting the stream. The video can be watched by large numbers without any of the commonly met problems, like that annoying loading bar. 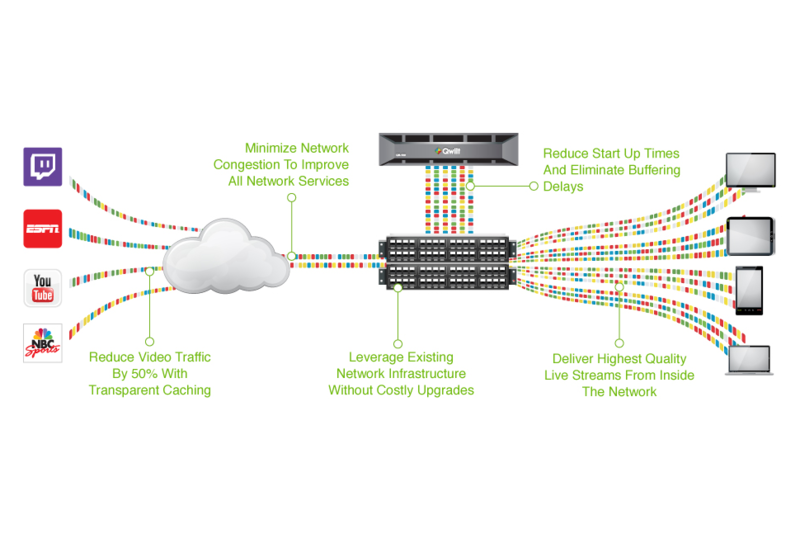 Qwilt claims it can reduce video congestion by 50 percent on networks that use its tech. Live Stream Cache works with any live streamed event, including those sent through video-on-demand services like Netflix, Amazon Prime, Hulu, and HBO Go, along with live streaming services like ESPN, Justin TV, Twitch, NBC Sports, and YouTube Live. Anyone who is a live streaming convert will be keen for Qwilt’s new technology to be introduced, particularly as more major events like the Super Bowl – watched online by three million people in 2013 – and the Olympics are made available online.